In the future, mobility will be shaped by developments in automotive electronics: Smart lighting, autonomous driving and connected vehicles—to name just a few catchwords—are closely related to electronic components and software developed around the world now and in the future. electronica, the World's Leading Trade Fair for Electronic Components, Systems and Applications to be held in Munich from November 8–11, 2016, will shed light on the latest developments. Experts will also discuss the industry's latest challenges and developments at the Automotive Conference and the Automotive Forum. “Automotive” will be a focal point of electronica again in 2016. More than 800 exhibitors from this sector have already registered for the fair. All in all, more than 2,800 companies will present their products and services at the fair. 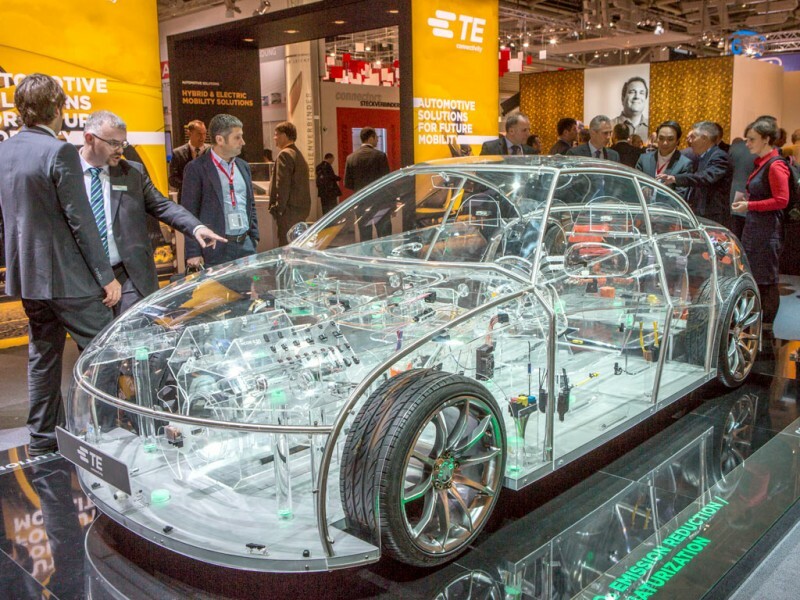 On November 7, the day before the fair begins, leading managers and experts will meet at the electronica Automotive Conference to discuss the industry's key issues. The main topics of this year's lectures are safety, automated driving and interior electronics. Steve Nadig from Daimler Trucks North America has agreed to give a keynote address on “Autonomous Trucks: A Global Perspective.” In another keynote address titled “Automotive meets CE,” Dr. Ludger Laufenberg (Kostal) will explain how autonomous driving is effecting interior electronics. And Dr. Reinhard Ploss (Infineon Technologies) will examine the current role of electronics in the automotive industry in a keynote titled “Semiconductors as a key enabler for the transition of the automotive industry.” Another conference highlight is the concluding discussion on “The Secure Connected (Self-driving) Car.” The participants in that roundtable discussion are Dirk Wollschläger (IBM), Lars Reger (NXP Semiconductors Germany), Dr. Thomas Wollinger (ESCRYPT) and Manfred Bauer (Flexera Software). The conference schedule is available here: www.electronica.de/conferences/automotive-conference/index.html. The electronica Automotive Conference enjoys the support of Hamamatsu, Infineon Technologies and NXP. The conference's topics are also reflected in the program of the electronica Automotive Forum. Whether it comes to partially or fully autonomous driving, new interior and exterior light functions or improved connectivity: New technology is changing the development world in the automotive industry more dramatically than ever. That is why the Forum not only presents the latest solutions and products from the industry's various sectors, but also gives visitors a look at the challenges of increasingly interdisciplinary collaboration in the future. In more than 130 events including panel discussions, technical lectures and roundtable discussions, participants will find out what current market and technology topics are moving the industry. An up-to-date schedule for the Automotive Forum is available here www.electronica.de/supporting-program.html in fair's event database. As always, exhibitors from around the world are expected to have a number of innovations on display. For example, semiconductor specialist NXP invites visitors to take a test drive into the future. In cooperation with Siemens, Honda and other partners, the company will present technologies that prevent accidents, reduce traffic and CO2 emissions and make drivers' lives easier. They are based on high-resolution radar systems the size of a stamp and compact communication devices in the vehicle that communicate with intelligent traffic lights and signs in real time. Cyber security is also a focus topic. Renesas will provide some excitement at its stand with the electric-drive Artega sports car, which showcases a range of applications driven by its versatile and scalable R-Car, RH850 and RL78 products. With Renesas' comprehensive infotainment demo, visitors will be able to view a panorama using multiple displays and see how the application seamlessly moves between and across the monitors. They will also see how augmented reality boosts safety and convenience with an ADAS demo, which shows the surround view around the car based on Renesas R-Car SoCs and features an overlay of mirror and driver monitoring. * Figures published within scope of 9th ZVEI Expertise Meeting at the end of 2015. Caption: More than 800 exhibitors from the automotive-electronics industry will be showcasing their products. In total there will be more than 2800 exhibitors at the show. More than 800 exhibitors from the automotive-electronics industry will be showcasing their products. In total there will be more than 2800 exhibitors at the show.